Ahead of this morning’s press conference to officially announce zen millionaire Phil Jackson as Knicks president, fans deluded enough to be excited by the mere gesture could show their allegiance by further lining James Dolan’s pockets. 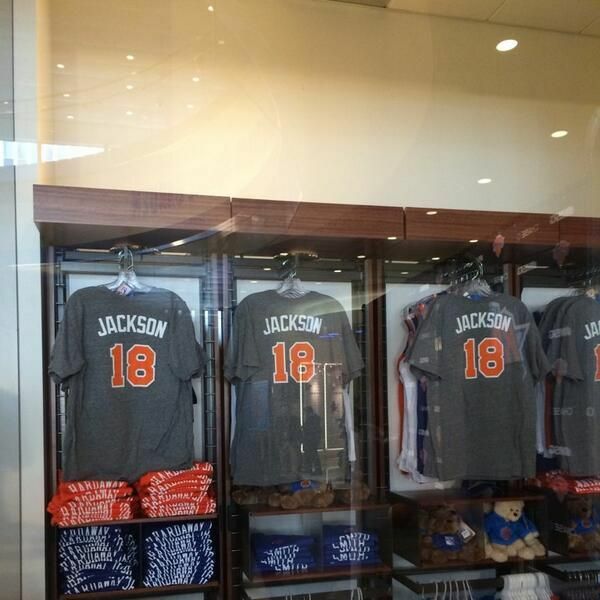 As photographed by MSG Network commentator Al Trautwig and noted by a more skeptical Deadspin, T-shirts commemorating a guy who, as a Knick, last averaged 2.4 points per game in 1978 are now on sale. Let the Phil Jackson era begin!